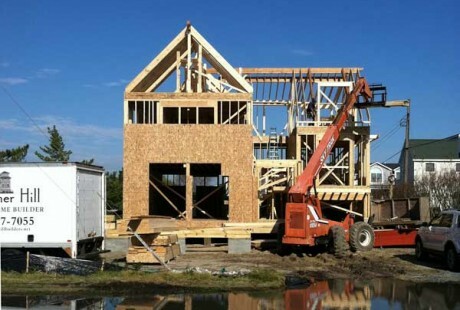 I love the sequence of building a home. The solid ground is excavated and concrete arrives for a foundation and crawl space or basement. 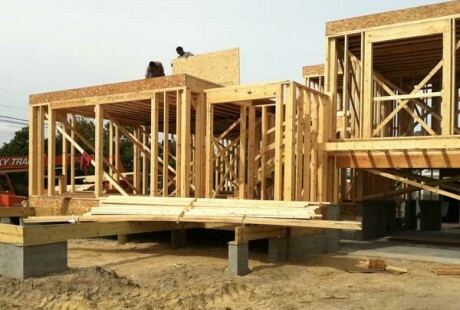 The first floor “deck” is placed on the foundation wall, wood or steel beams arrive on site, the exterior walls go up with openings for windows and doors, the interior partitions are framed, the upper level deck goes on and the roof trusses arrive. Before you know it, what was open is enclosed and a space is created. 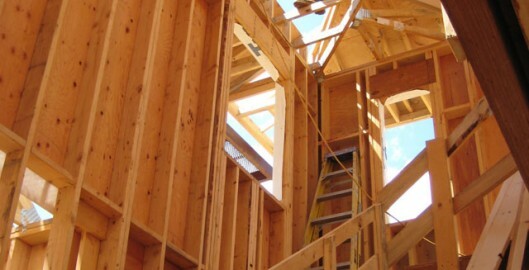 The exterior sheathing and masonry create walls into which windows and doors are inserted. The roof framing is covered and the interior work begins in earnest while the construction of exterior details continues. Even as I write this, I can almost hear the buzz of the saws and the crack and bang of the air hammers. Since I truly believe that we can learn by seeing, here are current examples of projects under construction. Check back often—I will do my best to post new images on a regular basis. Foundation and first floor deck on. Exterior wall framing to second floor level complete. Roof framing and structural beams installation in progress. Exterior sheathing begins. Wall and roof sheathing in place. 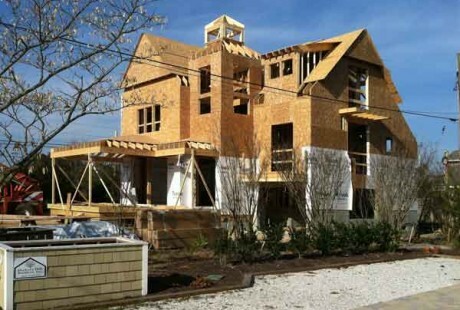 Main exterior framing complete. Porch framing begins. 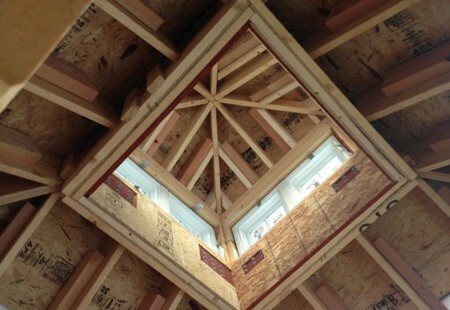 Interior Framing with rafter tails. Windows and doors installed. House and roof underlayemnt/wrap on. 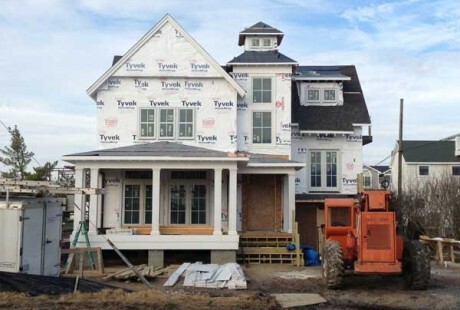 Trim and exterior detail begin. 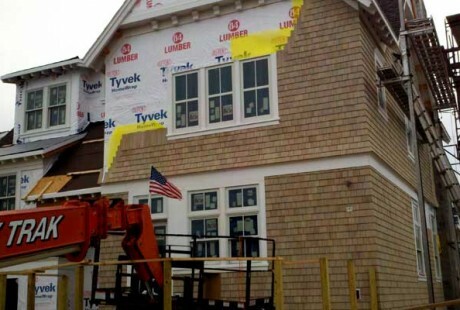 Exterior cedar shakes installed. 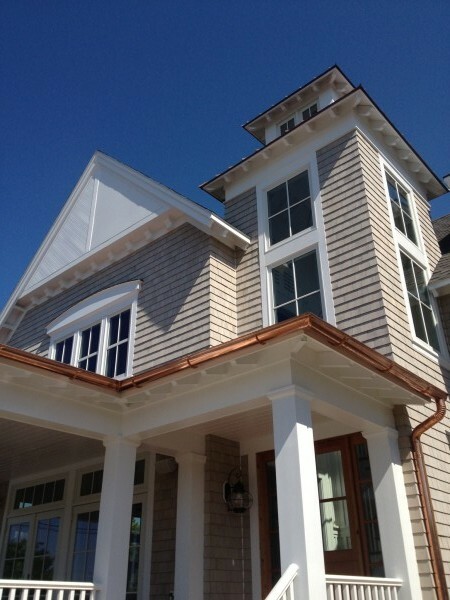 Trim and architectural details continue. This is a great beginning to the history of the house. I like the design, it’s modern, yet still very “beachy”.